If you are a blogger and you have a website then you should be aware of content optimization tools.Today we will learn about a similar tool Google Search Console. What is Google Search Console Tool ? How to use Google Search Console Tool ? How can we benefit from using the Google Search Console tool? If you have any questions about strategies for SEO content creation that I don’t answer here, let me know in the comments and I’ll answer them here or in a future blog post. 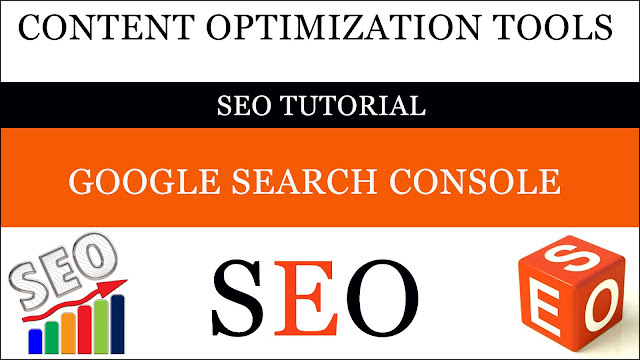 Google search console is a content optimization tool,It helps you to get ranked in Google,This allows you to maintain your website very well and bring great traffic to it,By using it Google will know that you have a website and Google will crawl every one of your posts with the help of the tool. With this tool, you can index your web post in Google. If for some reason your post has not been not indexed in Google, you can manually index your web post in Google with this tool. If there is a mistake on your post, then with this tool you can improve that mistake. To use this tool, write in Google Search, Google Search Console,And by clicking on its website, you can put your website URL in it. Can you use it in the following ways? First of all, you can click on the add property and put the URL of your website in it. If you are writing your blog in Blogger then by opening with the same Gmail account you will be automatically registered in this tool. If your website is from WordPress or any other platform then you need to verify your website details after entering it. You can verify your website with the HTML tag, for that you have to click on the HTML tag, it will give you an HTML tag so that you have to put it under the head tag in your theme's settings and then click on Verify. How can we benefit from using the Google Search Console tool ? With the help of this tool, we can easily index your web post in Google,After submited your website's URL to the Google Search Console, it will tell you the mistakes of your website by email,With the help of tool your website's traffic rank will increase, so that your website can also appear on the first page in Google.